This area is largely made up of residential homes. The area is named after the triangular green called ‘Parsons Green Park’. Just north of the park is a tube station which has two platforms. Sash window services in ","after":"
Our services are designed to alleviate the problems that original windows and doors cause period property owners. Whether you have a famous architectural landmark to restore or a one bedroom flat window to repair, our services will offer a solution to your problem. We have specialist knowledge of listed or conserved properties and can offer knowledgable advice also if required. A combination of all our services - repair, restore, paint and draught-proof, with minimum disruption to our customer's houses and schedules. Our team of carpenters and glazers are able to repair even the most extensively damaged or decayed timber by using modern methods and traditional know-how. 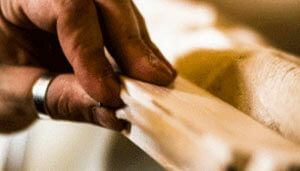 Our joinery can produce new hardwood windows and doors to your specific requirements. We can produce matching items and ensure they are installed into your existing frames to circumvent lengthy planning processes. Our decorators are skilled artisans in revitalising your traditional windows back to their magnificent best. 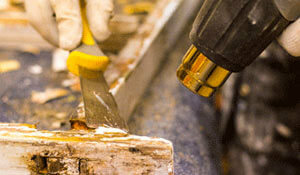 We use only the best materials on the market ensuring top quality results. We can install new glass, either single or double, into your original wooden sashes to solve particular problems you may experience. 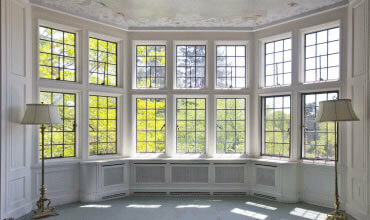 This process ensures that your original windows are retained but still benefit from new glazing technology. We offer a variety of specialised services to ensure your wooden doors are repaired, restored and fully painted enabling you to retain the original features of your home. We offer a variety of specialised services to ensure your french doors are repaired, restored and fully painted enabling you to retain the original features of your home. We offer a variety of specialised services to ensure your french windows are repaired, restored and fully painted enabling you to retain the original features of your home. The above link takes you to the Hammersmith and Fulham conservation area page. Here you are able to search whether your home is in a conservation area. There is a list of roads and areas you can click on that gives you more information. At the bottom of the page is a map that outlines the conservation area boundaries. Our promise of quality, care, and longevity is supported by our guarantee on our Longaevitas system. Fortis (Latin): Especially able, competent, or powerful in a specific field or respect. Hooke: Robert Hooke, 1635-1703, English philosopher, microscopist, and physicist. Best known for Hooke’s Law and noted to have invented the pulley system all sash windows use.